The North Dakota state flag has a bald eagle above the state name with a shield protecting its breast and a ribbon in its mouth with the national motto "E Pluribus Unum”. The shield features a blue field and thirteen red and white stripes referring to the original thirteen states. 100% made in USA, our commercial grade North Dakota Flags carry 6 months guarantee on construction. Symbols of beauty and excellent craftsmanship, reinforced stitching and bold and bright Dupont colors, these flags make excellent gifts and collectibles. 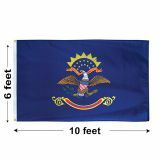 Shop from our complete line of North Dakota Flags right away and avail the best prices, quick shipping and much more! 100% customer satisfaction guaranteed! 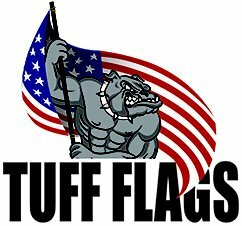 Celebrate your state pride and the love for North Dakota and its bubbly character with these North Dakota flags from Tuff Flags. As one of the leading suppliers of North Dakota Flags, we offer a choice of 2 different fabrics of nylon and polyester, both of which combining excellent durability with low cost advantage and a beautiful appearance. Finished with a strong canvas heading and 2 brass grommets, these flags will look fabulous both outdoors and indoors. 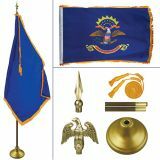 We also have a North Dakota Flag Kit, which includes ornament, flagpole, tassels and more that you need for your flag display. Offered in all popular sizes, our North Dakota Flags that are made to the exact specifications of the official flag will make a great value item for your investment. Browse our complete line of North Dakota Flags to choose a model that suits your needs. 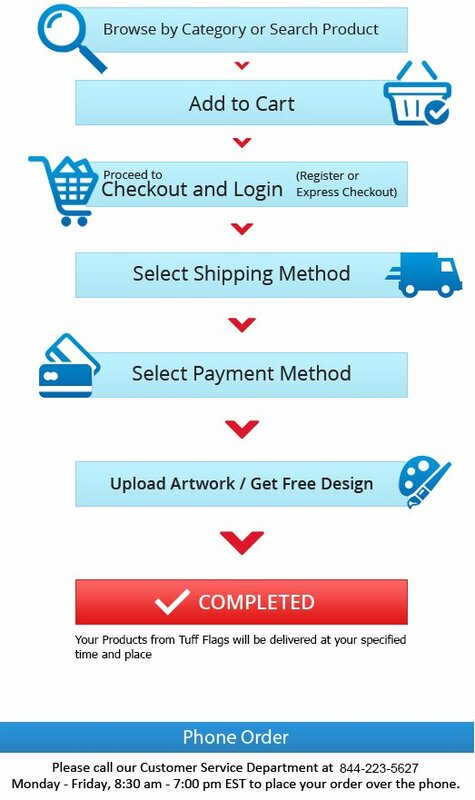 Should you need any tips, call our toll free number (888) 287-3524 or email at customercare@tuffflags.com and we will be happy to assist you.